This blue avengers t-shirt shows the famous A logo that we all know as being from the Avengers. 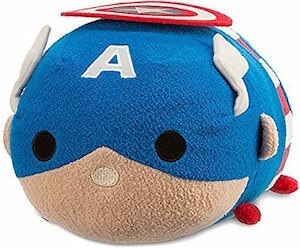 The A and a red and white ring is what you see and below that the words “The Avengers”. Wearing this t-shirt does not make you part of the Marvel universe but it still is cool to have a special t-shirt that shows you that you are a fan of the Avengers members and Marvel stories. 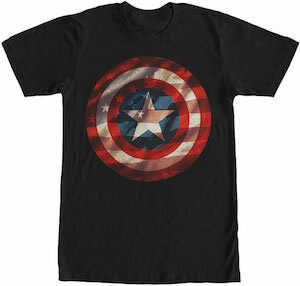 This Marvel t-shirt comes in sizes XSmall – 2XL and is made in the USA. A true fan of the Avengers of course would love to own a shower curtain with them on it. And now you can have and Avengers Assemble Shower Curtain with the whole team. 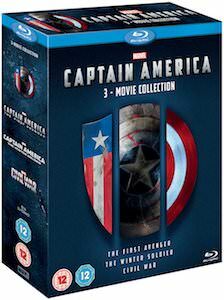 Yes The Hulk, Iron Man, Captain America, Thor, Black Widow, Hawkeye and Falcon are all there just like in the animated TV series. And this shower curtain just makes all this superhero’s pop out like the are falling from the sky. The blue background and the all those colorful superhero’s makes this 69 x 70 inch shower curtain perfect for a boring bathroom. 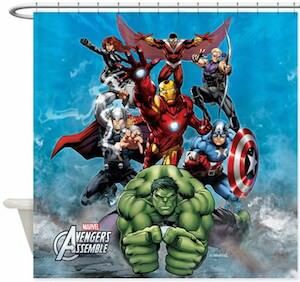 Any fan of Marvel comics can admire this shower curtain in your bathroom if you just simply get your own Marvel Avengers Assemble Shower Curtain. 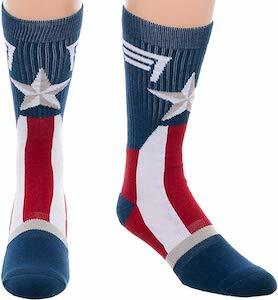 Want a superhero to keep your warm? 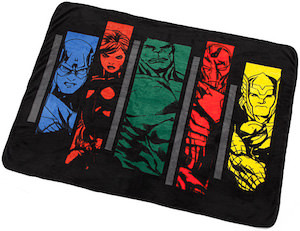 Sorry we can’t help you with that but we can bring you a blanket that has 5 superhero’s on it. This Avengers fleece blanket is the perfect way to stay warm while hanging on the couch or chair or maybe even just sitting on the floor while watching a Marvel superhero movie. 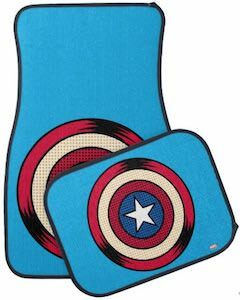 This blanket is black and has 5 panels in different colors and each panel shows a different Avenger. There is a panel for Captain America, Black Widow, The Hulk, Iron Man and Thor and the images are based on the comic characters not the one from the movie. 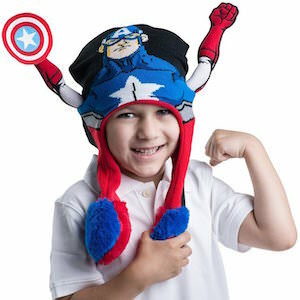 At 46 x 62 inch this Avengers blanket is perfect for many tasks so why not add one to your home? This t-shirt is something different. On this t-shirt you see the Averngers logo A but then made out of 3 superhero’s. You can find the Hulk, Captain America and Iron Man all in the letter A. This all makes a fun colorful t-shirt with your favorite Marvel characters. You can get this Avengers t-shirt in a range of adult sizes to fit you well.